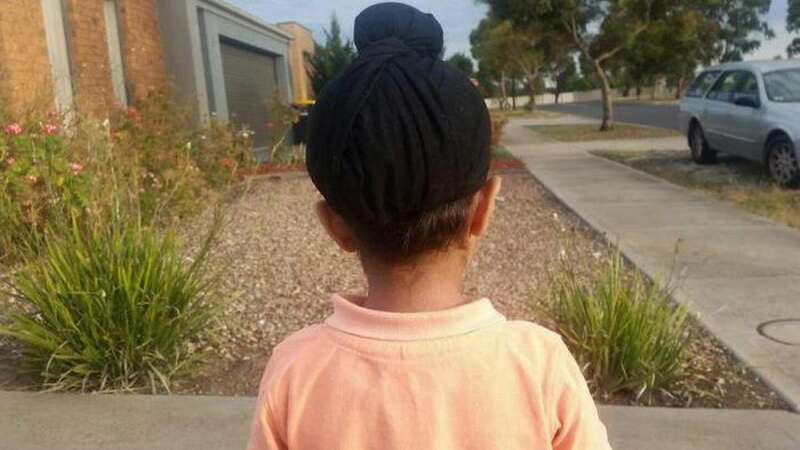 Melbourne : A five-year-old Sikh boy was denied entry by a school here for wearing a turban as it said that the religious head gear was not in conformity with the school's uniform policy. "It is disappointing that my son has been forced to abandon his religious practices and identity for access to an education in Melbourne's Melton Christian College," the boy's father Sagardeep Singh Arora was quoted as saying by Australian TV network SBS on Tuesday. "We lodged a claim with the Victorian Equal Opportunity and Human Rights Commission (VEOHRC). I believe having a common school uniform is important in promoting school identity and integration. However, it is also important to recognise that there is no hindrance to the practice of various cultures and faiths," said Arora. He further said that students should be able to wear their significant religious symbols and articles of faith. "It's immoral for a school to not allow students to practice their beliefs," he argued. Arora said he has had a dialogue with the school (MCC) in which he cited other examples of Australian institutions which have re-evaluated their policies in similar instances, said the report. "We were in discussions regarding the importance of hair and turban in Sikhism and acceptance of turban as uniform by different organisations (like schools, Army, and police) in Australia and other countries," said Arora. "Yet, the college has refused to review their uniform policy." Given the long history of the Sikh community in Australia, it's disappointing that they still struggle with issues such as this, said Arora. "While practising our religious beliefs, we wish to show an expression of solidarity with the wider Australian community. And all we demand is respect for our religious beliefs," he said. However, the school, in a written response to VEOHRC, refused to include any additional items in the existing permitted uniform protocol, the report said. "We acknowledge the disappointment that Sagardeep and his family feel. We respectfully recognise his disappointment that the uniform protocol of this school mean that non-prescribed items are not permitted to be worn in addition to the school uniform." "We have considered the complaint and our options carefully. The result is that we have agreed that college uniform will be maintained as it is, without permitting additional items," the school said. In a landmark case in September 2008, a Brisbane private school was forced to back down on a strict uniform policy that would have forced a Sikh boy to cut his hair and remove his turban.